We’d love your help. 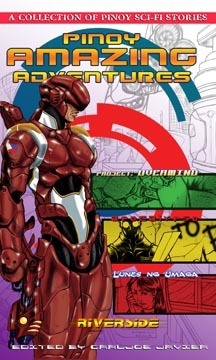 Let us know what’s wrong with this preview of Pinoy Amazing Adventures by Carljoe Javier. What if there were realities existing beyond what we can imagine, like tracking a felon through dreams, mekas guarding the Mariquina River, a telephone service that lets us see the future? What if Mt. Banahaw were really guarding a secret? Let us take you to some place called imagination. This is speculative fiction spinning from the present and imagined in the future. To ask other readers questions about Pinoy Amazing Adventures, please sign up.